Users will be able to annotate videos directly from Dropbox, among other things. 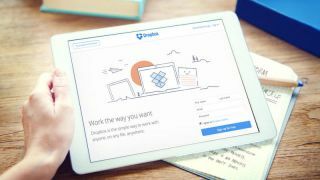 Dropbox has announced a new offering which will allow users to handle certain workflows without ever leaving the app. This will help businesses ‘move projects forward and keep collaborative teams in flow’, the company said. The new offering is called Dropbox Extensions, and will allow users to edit files, send for eSignature, annotate videos, and send electronic fax directly from Dropbox. To make it happen, Dropbox had to team up with Adobe, Autodesk, DocuSign, Vimeo, airSlate, HelloSign, Nitro, Pixlr, and Smallpdf. The company said users will be able to take a contract from first to final draft and send for signature without uploading, downloading or scanning. Editing files or annotating videos for real-time feedback will be available on the fly, while signed contracts, PDF or Word files can now be digitally faxed. Dropbox said the first set of these new integrations will become available to the general public on November 27 this year.